Birregurra is a small town 18 km east of Colac, just off the Princes Highway on the way to Apollo Bay. 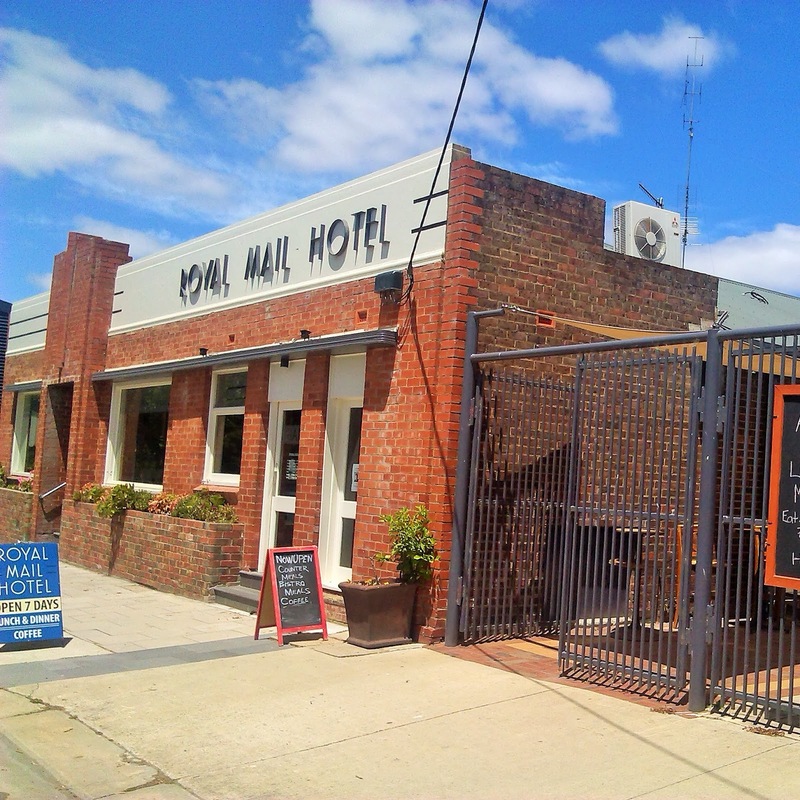 The Royal Mail Hotel in Main Street was first licensed in 1871 but the current building is more art deco in style, certainly from the outside. 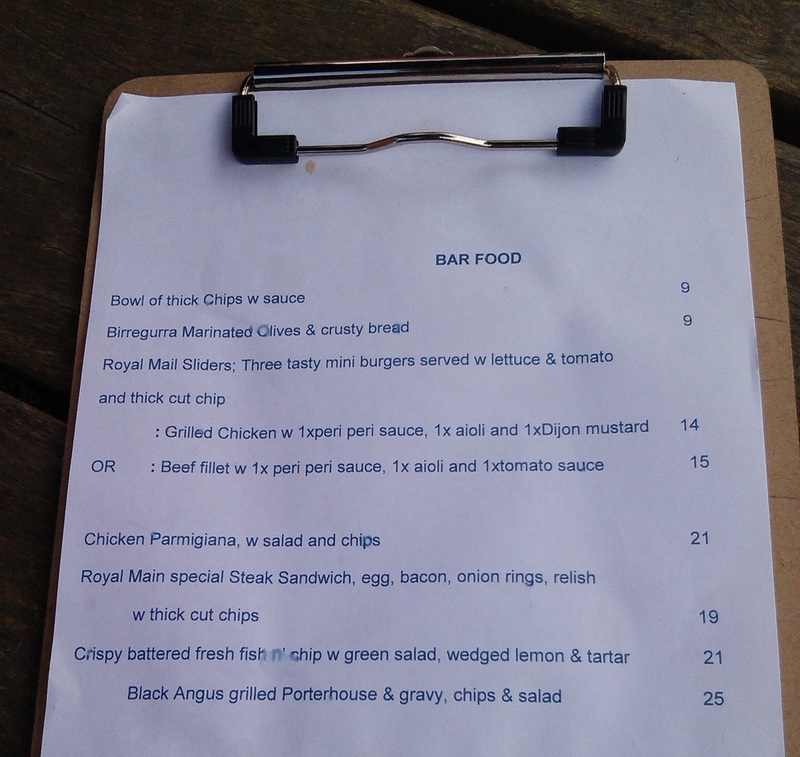 We stopped in en route to the coast on a Saturday for some lunch and found ourselves a seat outside in the courtyard and perused the bar menu, there was also a longer restaurant menu, with more substantial dishes. 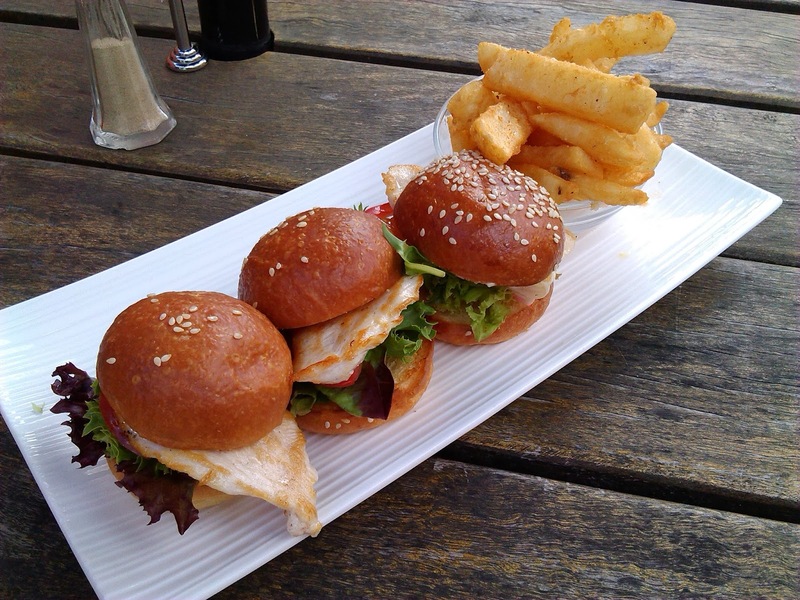 We both went for the chicken Royal Mail Sliders, which arrived as described, the only slight surprise were the brioche style buns. The chips were crunchy and perfectly cooked. Each of the sauces with the mini-burgers was distinctive with the peri peri standing out, both in spiciness and as an overall standout. I finished off with a decent long black to aid the next chunk of driving. Birregurra isn't somewhere I'll find myself that often, but I'd happily go back for a bite. 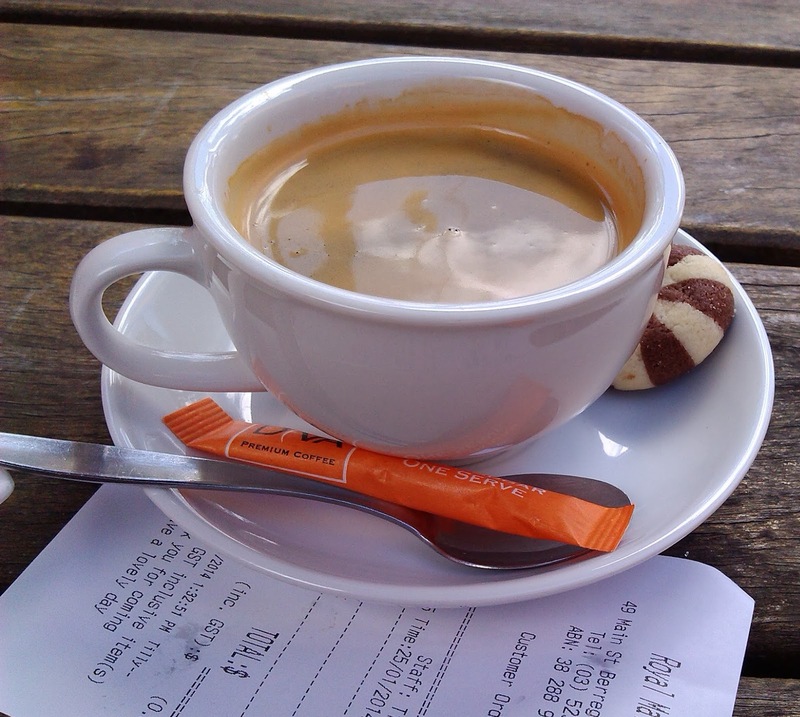 The service was friendly and efficient and they managed to deliver my coffee just as I was finishing off my food!